One of the most inﬂuential and respected TV columnists, he not only discussed the current programs but often commented on popular culture. Anthony LaCamera was considered by many to be the dean of Boston’s radio-TV critics. He covered broadcasting for the Boston American, the Record-American, the Sunday Advertiser, and the Herald-American from late 1948 until he retired in 1978. One of the most inﬂuential and respected TV columnists, he not only discussed the current programs but often commented on popular culture. He was known as a tireless crusader for better programs, and although he was always courteous, he would not hesitate to point out areas where he felt TV needed to improve. 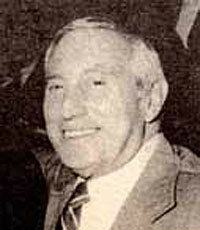 A Massachusetts native, LaCamera was born in 1914, and received his degree from Boston College in 1934. He worked his way up from copyboy and cub reporter at the Hearst-owned Boston American, eventually becoming assistant city editor. In mid-December 1948, he was asked to write his ﬁrst column about the then-new medium of television; he received such a positive response that he was soon asked to become a daily columnist. At the height of his career, he was not only writing ﬁve (and sometimes six) columns a week; he also visited the stations and interviewed the stars and executives. After he retired, LaCamera became a resource for local journalists interested in the history of television. He also wrote for Boston’s Catholic newspaper, the Pilot. He died in November 1984, at the age of 70.